Mt. 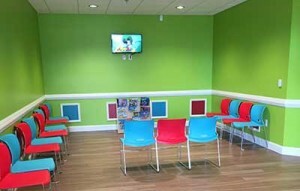 Sterling Pediatrics was founded in 2009. Our physicians, Dr. Brandy Fouch and Dr. Brian Badger, along with our pediatric nurse practitioners, are here to provide you with the best possible care. We utilize an entirely electronic health system, which decreases medical errors, increases efficiency and allows better preservation of your child’s medical records. This also allows your child’s entire medical history to be available at each visit to our office no matter which location you are seen.